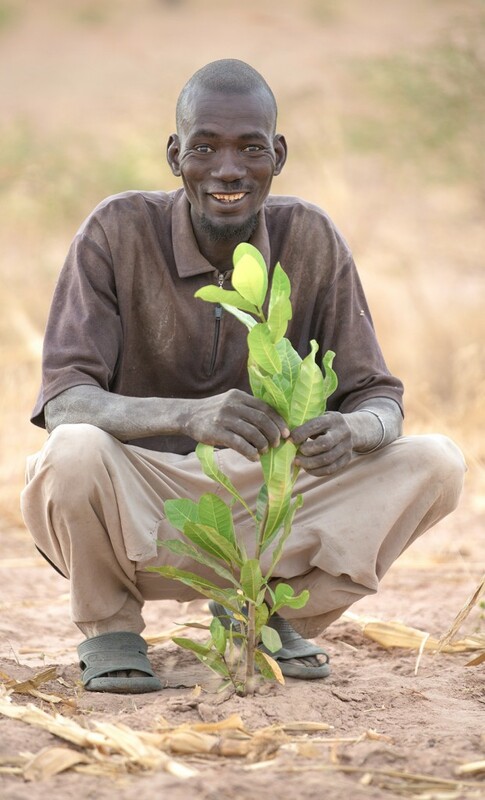 home › posts › Malik and The Forest Garden... ten trees planted for every item purchased. Senegal is known for its peanuts. Farmers across the countryside plant them knowing that they will have a guaranteed buyer once the harvest has finished. The issue that arises with this is that peanuts are a crop that is incredibly hard on the soil. They grow underground, and so must be dug up after each growing season. This means back-breaking work for the farmers and their families, and the loss of a significant amount of nutrient-rich top soil each year. As well, when there are so many peanut farmers — all selling their crop at the same time — the price of peanuts invariably goes down. After several seasons of this, the harvest yield begins to diminish, and what was already a subsistence crop suddenly does not even provide enough income for the necessities. Malik Ndao (pronounced Ma-Leek) is a farmer we met on the fourth day of our trip to the Kaffrine region of Senegal. He's an incredibly friendly, humble man with a great plot of land growing vegetables and trees. But it wasn't always like this. 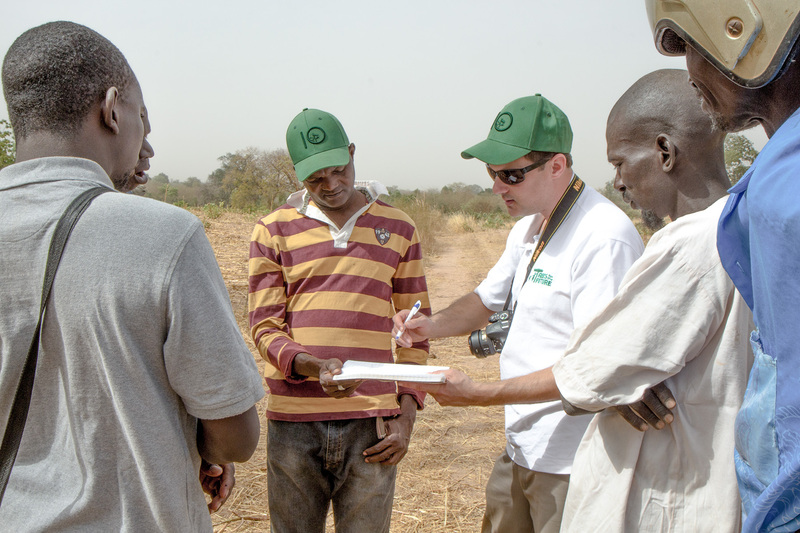 Like many others in Senegal, Malik was a peanut farmer. And like many others, Malik knew something had to change. The "Forest Garden" model is a fairly simple concept. Farmers plant trees as a living fence, warding off the encroaching Sahara desert and as protection for vegetable crops and fruit trees. Malik is now producing more food than he could have ever afforded — and selling the surplus for a profit. He has planted a diverse set of trees including mangoes, leucaena, pigeonpeas, papaya, acacia, jujube, and cashew. In addition, he yields an incredible amount of eggplant, okra, onion, and more. Malik is now able to support his wife, children, sister, her children, and his mother (a total of ten). As well, he feeds many of the village kids with the fruit from his trees. We are excited to begin working with Malik, and many other farmers in Kaffrine, to help them continue improving and expanding their Forest Gardens. Together, we can work with countless Senegalese men and women to improve their lives and help ensure a fruitful future. The post Malik and The Forest Gardens of Senegal appeared first on tentree.